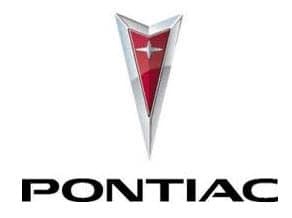 While Pontiac has been off of the car making scene for awhile, you will still find that there are plenty of people that are loyal to the brand. Maybe you are someone that still has a Grand Prix, Grand Am, or other vehicle that was in their line. If you’re looking for a locksmith that can still make new keys for Pontiac vehicles and that can help you with any lock issues that may come up as your vehicle ages, you’ve come to the right place to make that happen for you. The skilled locksmiths that we have working with us at Door N Key Locksmith are able to assist you with anything that may come up with the locks and keys on your Pontiac. Do you need a new set of keys? We can copy any key thanks to our key copying technology. Are you locked out of your vehicle? We have locksmiths available 24 hours a day, 7 days a week that can come to you and get you back in quickly. The next time that you need help with anything regarding your car’s locks and keys, we’ve got your back and will help you to take care of it – just give us a call.